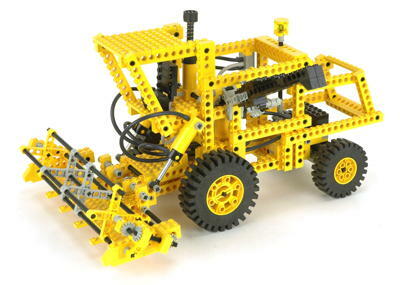 Officially, there has only ever been one Technic combine. The other is actually an alternate model but is so good that it stands up to the other in every way. These are both very large models which both have the accurate appearance of real combines, albeit of very different ages. Feature sets are very similar. 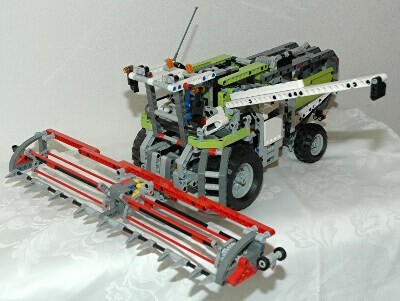 Both have a corn head with rotating threshers driven from the wheels. Both can raise or lower the head and deploy a side chute. One does with pneumatics and the other with gear systems. Tough to pick a favorite here. You better buy both of them.